Dr. Jacquelyn Armitage holds a doctorate in higher education administration from the University of Massachusetts, Amherst; a master’s degree from Boston University. and a certificate from Harvard University Institutes for Higher Education Management of Lifelong Learning. 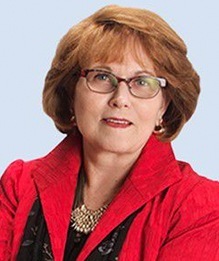 Her career in higher education has included roles as President at Mount Washington University in New Hampshire, Vice President for National Programs at Lesley University in Cambridge, Vice President for the Massachusetts Campuses of the University of Phoenix and Vice President for Enrollment Management/Dean for Graduate and Continuing Education at Emmanuel College in Boston. She also served as as a tenured associate professor and coordinator of the graduate nursing programs at Salem State University. Dr. Armitage is a recipient of the University of Massachusetts Alumni to Watch Award, a member of Sigma Theta Tau Nursing Honor Society and a recipient of the Salem State University Distinguished Service Award. She also has served as Team Chair/Site Evaluator for NEASC and Team Chair/Evaluator for the New Hampshire Department of Education Higher Education Commission. Dr. Armitage is the Chair of the Board of Trustees of the American University of Phnom Penh in Cambodia.